Lightwood Games has developed one of the newer applications for many of the platforms that will make you a detective and will help in increasing your capabilities for catching up a thief!!! And the application is known as “HEAD HUNTER CHALLENGE”. Head Hunter challenge has been made available as an iPhone application, iPod application or iPod application and can be played by the lovers of iPhones and all of the technologies that are related to it. The application is available in the market and thus you can have full enjoyment of the game and also uses the multiplayer technology for the game. One of the newer styles of technology known as multi screen gaming-technology has been used in the game. 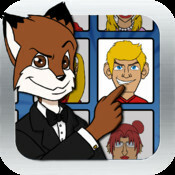 The main fun starts with the appearance of Agent Dan McFox who will abide you from starting to the end and develops your interest in the game whether you win or loose and is the main character for which you have to play and perform the task. Have you ever behaved like a detective in your life? Have you a dream of becoming a detective in your life that has remained only as a dream? Then this game will provide you with all the fun that has not been able to be true in reality!!! 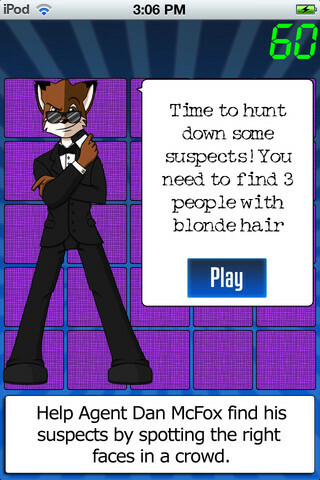 This is so because you have to work like a detective in the game as per the instructions of Dan McFox who is one of the interesting characters of the game. Multi Player Access – One of the fascinating features that adds a vow factor to it is the that this app makes it possible to be played at a multi-user by connecting as many as sixteen devices with the help of the Bluetooth. Largest Configuration – The players have the choice of competing in the configuration of 4*4 ipads or iphones and allowing the game to be played on a multi platform. Solo Modes – This is the mode that provides the user to play the game alone by giving a predefined time for the completion of the task. The results are then shown on the world wide leader boards. Challenge Modes – This is the mode in which you may directly connect with and the social networks like facebook and allows you o play the online game. In this mode, the players are given the chance one by one according to their turns. Playing Surface – By connecting so many connections together the biggest advantage that has been provided to the players is the surface area of three meters that is being made with the help of the connections just like a connection of a forty eight TV. If you have liked Head Hunter Challenge game and want to play it, then you just have to click DOWNLOAD. It delivers players freedom and creativity on attack. Players analyze spaces, changes direction quicker, and look harder and smarter to break down defenses and think three spaces ahead. There are entirely new opportunities for a player to strike opponent down and put a goal. Player does have proper control over the ball that’s how they twist the Game into a real- world experience of football match. With attacking intelligence player can turn defense into attack in the wink of an eye. FIFA 13 Iphone, Ipad Application has also been launched.